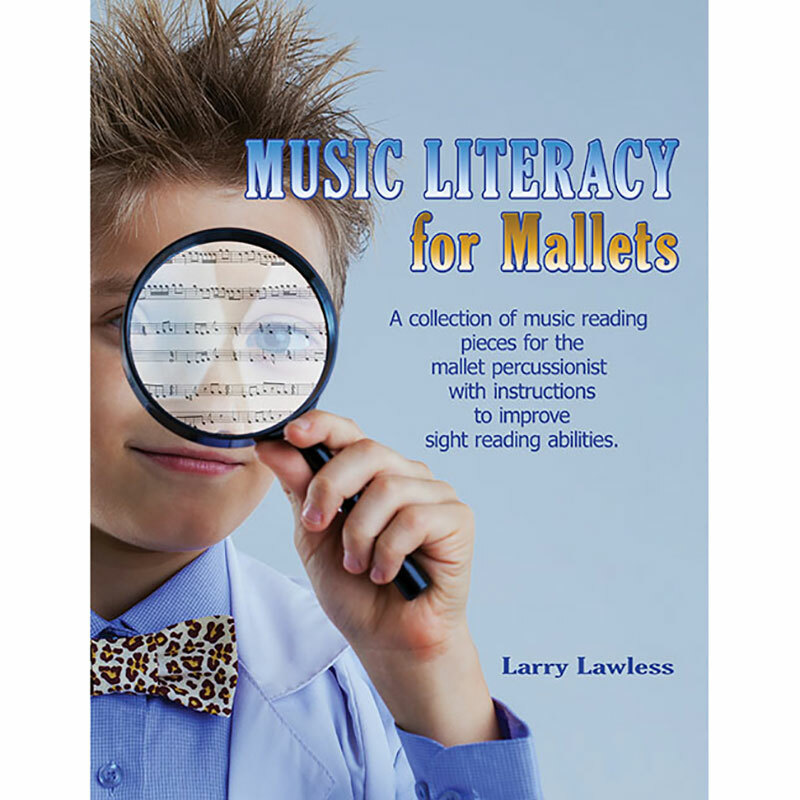 Musical Literacy for Mallets by Larry Lawless is a primer to help percussionist learn how to read melodic music for use on keyboard percussion instruments like bells, xylophone, vibraphone, and marimba. It begins with the very basics in large fonts that are easy for children to read. 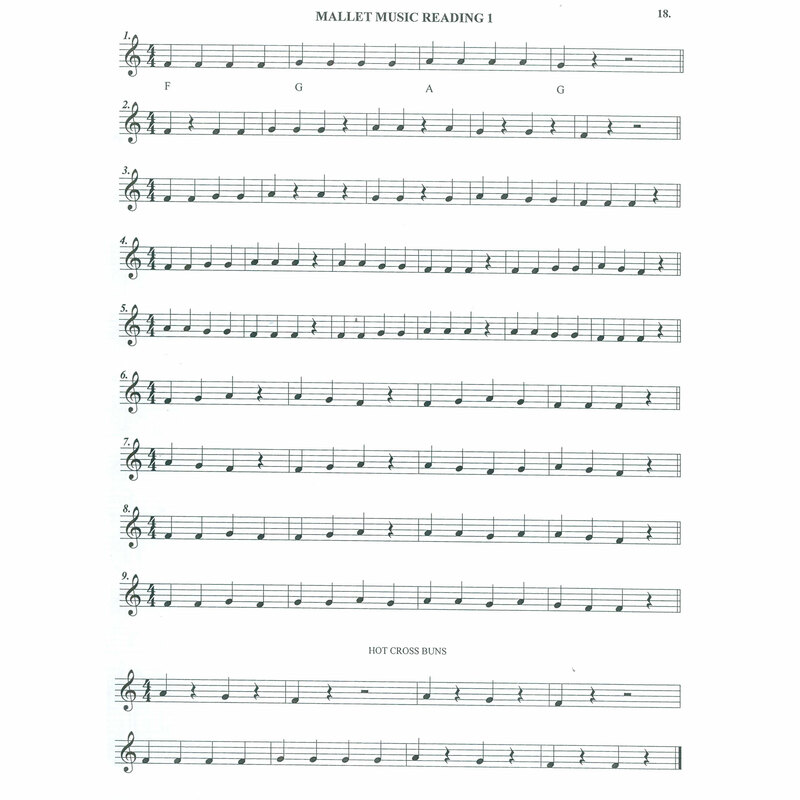 Through this book students will learn note names and their place on the musical staff, some basic solfeggio, scales, intervals, and arpeggios. 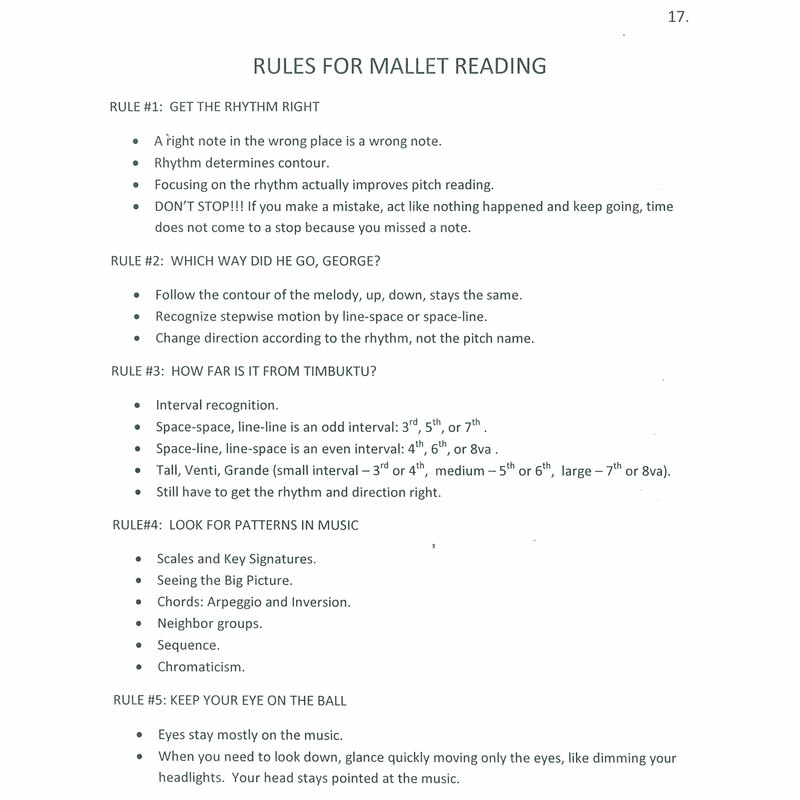 Many percussion students suffer from not developing the ability to read music well, wasting valuable hours in the practice room learning the notes in an agonizing, one-by-one fashion. This book helps prevent that problem!